Renowned nutrition expert Mary Anne Burkman from The Dairy Council of California received the International Dairy Federation Volunteer Recognition Award for her skill in translating scientific language into practical information. Burkman is recognized as a pioneer in bringing the nutrition and sustainability fields together and has played a key role in drafting essential resource papers for the IDF. 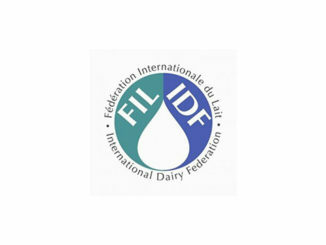 She was one of four honored for their leadership, commitment and dedication to the industry at the IDF World Dairy Summit 2017 held Oct. 30 – Nov. 2 in Belfast, Ireland. Other winners were from Norway, New Zealand and Australia. The Norwegian Dairy Council received the International Milk Promotion Group (IMP) Yves Boutonnat Trophy Award for their successful marketing campaign “One nutrient, hundred communication possibilities”. Keith Johnston, principal research technologist at Fonterra, was awarded with The IDF Prize of Excellence 2017. His expertise has resulted in the final adoption of a new and updated set of Codex cheese standards. The IDF Award 2017 went to Dr. Robin Condron, former manager in animal health and welfare at Dairy Australia. He has provided strategic advice to the industry in Australia and internationally in the technical areas of food safety, animal health and welfare.